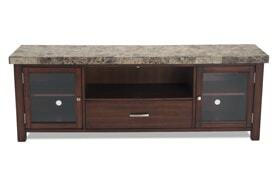 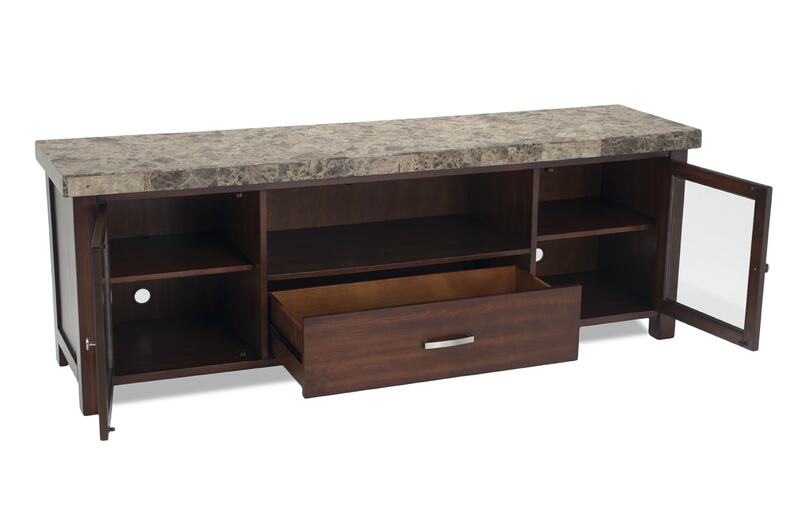 Show off your style with my Montibello Brown Marble 74" TV Console! 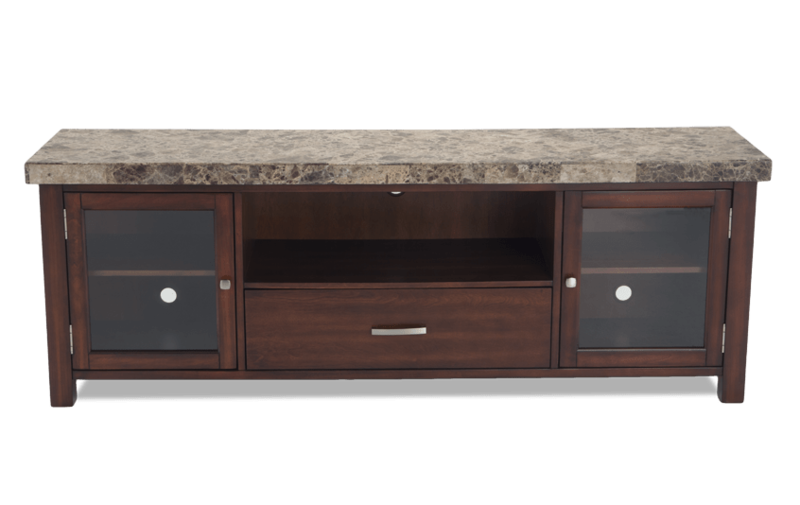 This new and improved TV stand features an updated look with real marble tops. 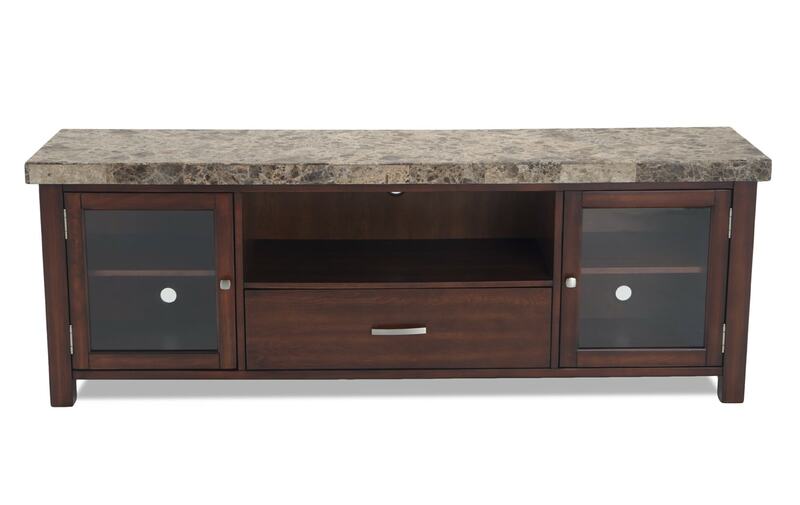 Two glass doors reveal roomy shelves and the bottom drawer is perfect for your media accessories! 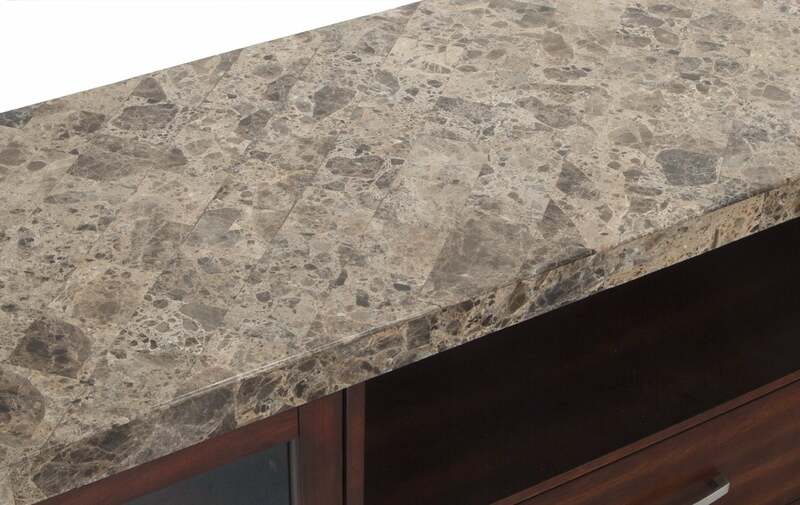 Natural stone features distinctive patterns and colors that vary from piece to piece. 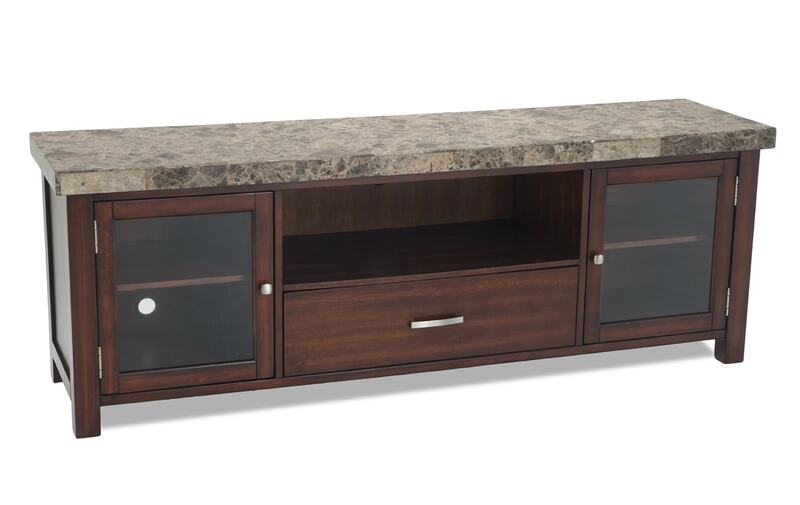 If it's cold, it’s real stone. 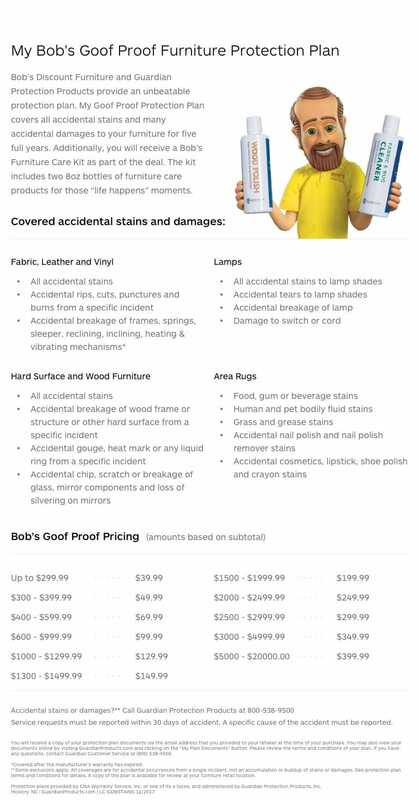 If it's room temperature, it’s synthetic.